Nigerian Defence Academy NDA Form 2019 Admission Application Guidelines. The Nda form 2019 information for admission into Nigerian Defence Academy Kaduna 71st Regular Course has been released. 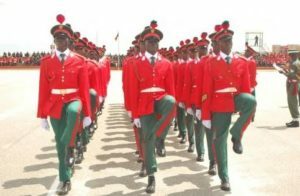 The Nigerian Defence Academy announce commencement of application for admission into the 70th Regular Course (RC) of the institution. The application form will be available for sale from Monday 22 October 2018 to Thursday 14 March 2019. Admission into NDA is open to both MALE and FEMALE Nigerians. All applications for the 71st Regular Course of the Nigerian Defence Academy must be done electronically. Minimum of 5 credit passes with English and Mathematics at the Senior Secondary Certificate Examination conducted by the West Africa Examination Council (WAEC) or National Examination Council or National Business and Technical Examinations Board or General Certificate of Education Ordinary Level obtained in not more than 2 sittings relevant to the Faculty of their choices. At least two supporting relevant credits to the compulsory credits in Faculty of Arts and Social Sciences and Faculty of Science. However, only one supporting relevant credit is required in the Faculty of Engineering. Be at least 17 years but not less than 21 years by 1 August 2019. Note: (1) Candidates who desire to join the Nigerian Air Force must be between 17 and 19 years old at entry. (2) The Nigerian Air Force has suspended the enlistment of female candidates in her Regular Combatant programme in NDA. Must not be less than 1.68 metres tall for male and 1.65 metres for female. Must have a BMI of between 18.5 – 25.5 kg/m2 to be considered for selection. Present a Certificate of indigeneship from the State Government or Local Government Area. Working knowledge of French, Arabic or Mandarin language is an added advantage. The candidates must meet the pre-requisites listed on the School website; www.nda.edu.ng before they can be admitted into any faculty /department for the degree programme. Candidates should logon to the application portal Applications Online, click on ‘Purchase Form’ tab. Your first step to apply to the Nigerian Defence Academy is to create an account. Your account will enable you purchase a form and also complete your application over several sessions. To pay Online, Login to the application portal, choose ‘Pay Online’. To pay via at any Nigerian bank of choice, login to the application portal, choose ‘Pay at Branch’ The application will guide you through the rest of the straightforward payment process. The online upload of required application documents is necessary, it is therefore advised that you please come along with the originals of this uploaded documents for sighting during your interview. Your application information is maintained on a secure server and remains confidential prior to submission. Use the Support link to get help or assistance during the completion and submission process. Kindly note that your application is not complete until all copies of your Credentials, have been uploaded and submitted along with your application. The examination will be conducted as an Entrance Examination and it is scheduled to hold on Saturday 13 April 2019. Therefore, all eligible candidates are to bring along their Acknowledgement Form, JAMB result slip and TWO (2) postcard sized (3.5 x 5 inches) photographs to the Examination Centre on the examination date. The photographs should show only from the chest upwards and should contain the candidate’s Name, State, Centre and Signature at the back. degree in a core discipline (BSc, BEng, BA). They will equally earn a commission into the Armed Forces of Nigeria. ADMINISTRATION: All Regular Course cadets will train in NDA and the cost of their administration and logistics will be borne by the Federal Government. APPLY FOR RECRUITMENT IN CENTRE. AND BECOME A PUBLIC HEALTH WORKER. ONLY SUCCESSFUL APPLICANT WILL BE CONTACTED. Better don land :- We pay more than NNU. Let me not take you so far, Ibom Media will be posting a better way to make money Online with your facebook account by this we mean that a post will be recommended for you to share, like and possibly comment. So far we have been able to pay a total number of 50 as at yesterday, 7th November. Below are some of the possible question you would love to ask. *Ans: As we were saying, you have to take a screenshot of the post you have shared to your timeline and send it to the Whatspp Group. *Ques 3: Is Ibom Media NNU Scheme? *Ans: As you can see, Daily Income Is what we are talking about Here. We Pay on a daily basis not monthly. 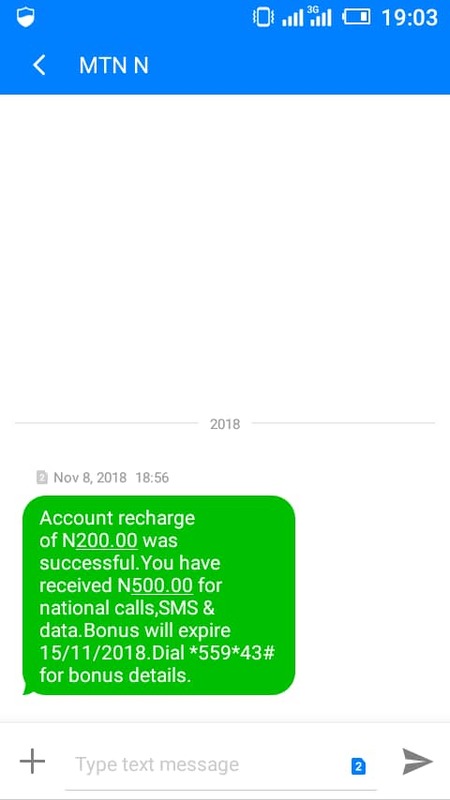 Share and get paid is a new way to make money online Introduced to you by Ibom Media, a company that specializes on making money both offline and online. What you need to know now about the latest Civil Defence Recruitment. The Nigeria Civil Defence is a paramilitary, in conjunction with the Nigeria Police, they protect lives and properties, they also protect pipelines from vandalism. The agency also involves in crisis resolutions. Wrong information and rumors are flying round that the NSCDC is currently secretly recruiting, but the NSCDC Commandant General, Abdullahi Gana Muhammad has said those are, according to him, “wild speculations”. He said there is currently no Civil Defence recruitment going on for now. Visit their recruitment page to see what they have to say about recruitment. You must be certified by the Government Medical officer to be physically and mentally fit for appointment into the immigration Service. You must not be suffering from any form of mental or physical Stress. 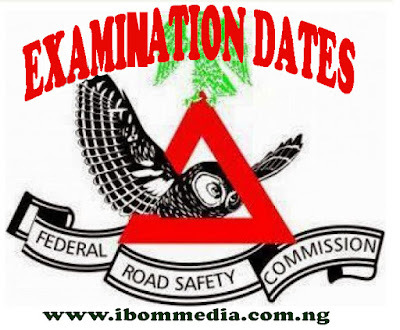 Always visit www.ibommedia.com.ng to get the latest update on the above recruitment exercises. 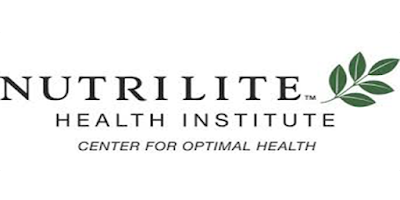 If you think this information is important, please share with your friend by clicking share below. Following the last concluded screening exercise conducted in September 2018 has came up with the following under listed candidates who were successful and have been requested to report at their selected Screening state for a Computer Based Test (CBT) scheduled to hold from 3rd November, 2018 by 0800hrs. N-Power, the federal government’s National Social Investment Programme, has announced date for new applications into N-Build. Wondering Where to Get Registered Immediately? Ibom Media is at your services. The empowerment scheme announced that N-Build portal will be opened on November 5th for new applications. The scheme shared the information in a statement on its verified Twitter page. The tweet read: “Good morning, We are pleased to announce that the N-Power Build Portal will be open for new applications between November 5th – 16th, 2018. The Online registration Suppose to have commenced on the 5th of Nevember but have been shifted till further notice. 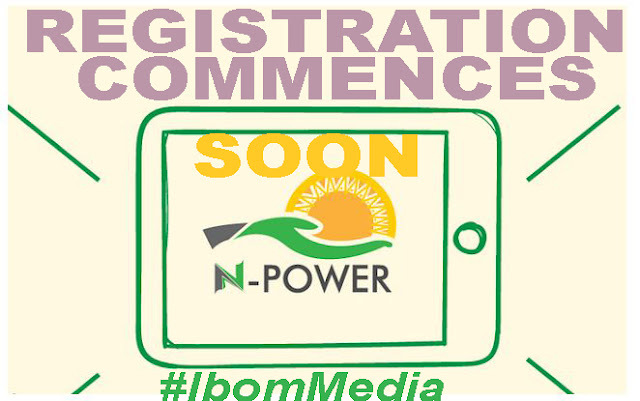 You Can contact Us @ Ibom Media at Plaza by Aka Road to know when registration will start Or You can also. Which Was Prod. By Cu-best The Song Is Not Only Worth Your Data But A Must Have On Your Playlist This Season. You need to download the complete past question of FRSC as the Federal Road Safety Corps (FRSC) says the third stage of its ongoing recruitment would commence soon. Call Or Whatsapp us on 0806601404 to get the Past Questions And answers. Continue Reeading:This was made known to us as the Public Education Officer of the corps, Mr Bisi Kazeem, in an interview with the News Agency of Nigeria (NAN) in Abuja on Friday he said. The agency had between 24 and 29 September, commenced the recruitment exercise, with physical screening of no fewer than 324,000 applicants, who applied for 4,000 jobs in the corps. The exercise was for various cadres, including officers, Marshal Inspectors and Road Marshal Assistants. Kazeem said that the last physical screening that was conducted was the second stage of the exercise. “Efforts are on for the third stage. We had earlier conducted the second stage, which is the screening. “Efforts are on now to call people that have been shortlisted for the officers and marshal inspectorate cadres,” he said. According to him, those applicants shortlisted during the screening will be made to write exam which is to be conducted by JAMB. “The marshal assistants, which is the lowest cadre, including artisans, will only be interviewed without going through the JAMB exam. “After JAMB, the officers will still go through interview but the marshal assistants are going for interview which is going to be their last stage. “They will soon be contacted,” he added. But hey! Lets talk about the free FRSC past questions. Dowload the past question here. Hire Ibommedia to get Registered with ease. BSc/BEng/BTech/HND Satellite Ground Station Engineering. BSc/BEng/BTech/HND Aerospace & Aeronautical Engineering. BSc/BEng/BTech/HND Network & Cyber Security. BSc/BEng/BTech/HND Cartography and Statistics/Record Analyst. BSc/BA/HND Television and Film Production. BSc/BEng/BTech/HND Intelligence and Security Studies. Fellow of West Africa/National Postgraduate College in General Surgery. Fellow of West Africa/National Postgraduate College in Cardiothorasic Surgery. Fellow of West Africa/National Postgraduate College in Orthopaedics Surgery. Fellow of West Africa/National Postgraduate College in Ophthalmology. Fellow of West Africa/National Postgraduate College in Neurosurgery. Fellow of West Africa/National Postgraduate College in Internal Medicine. Fellow of West Africa/National Postgraduate College in Paediatrics. Fellow of West Africa/National Postgraduate College in Obstetrics & Gynaecology. Fellow of West Africa/National Postgraduate College in Anaesthesiology. BA Arabic & Islamic Studies. LLB Land and Alternative Dispute Resolution (ADR) Law. Is your course of study among the listed once? Hence Go register Here.